Hello beloved. This is Mary Magdalene. Thank you for calling upon me once again, as I am happy to be of service and help in whatever way I can. 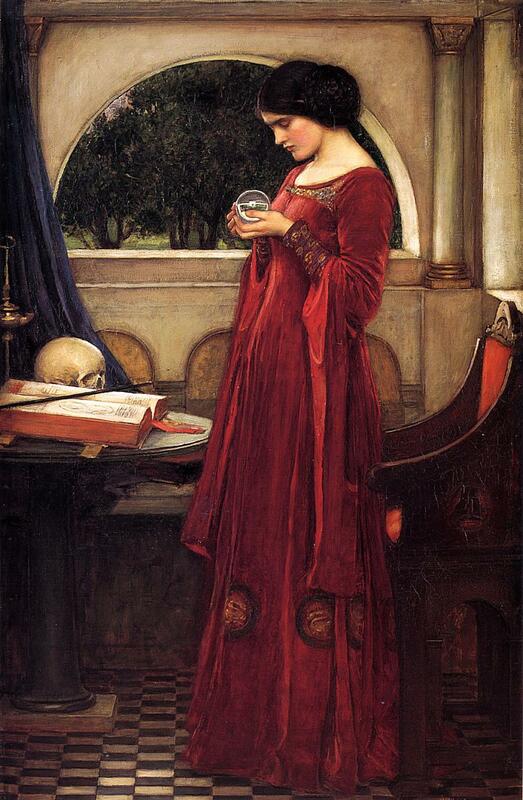 I have heard that you would like me to address the question of predictions for the future. And so I shall. This is a very spiritual question. I say that because, from my point of view, spirituality is about two things. It’s about consciousness and it’s about love. The question of “Will I survive and thrive?” reflects a third-dimensional consciousness. In the third dimension, beings are relating to life in a physical way. So your focus is on physical survival and physical wellbeing. For those of you who are growing spiritually—which I assume is the case for those listening to my words—you are in the process of growing beyond the third dimension and it’s attendant consciousness. You are moving into the higher dimensions, beginning with the fourth dimension. And as part of this, you are moving beyond the exclusive focus on physicality. You are moving beyond being driven by wanting to survive and have physical wellbeing. Of course those drives are still there. They won’t disappear. But they will no longer dominate or control you because they have been superseded by another drive. As you move into the fourth dimension, your higher awareness begins to open and you begin to relate to the experiences of life differently. Rather than merely wanting to survive, you begin to look at the events you’re encountering differently. Whereas in 3D you interpreted certain events as threats to your survival or wellbeing, now you begin to see that these events aren’t external things happening to you. And you aren’t at their affect as a victim. Rather, you begin to see the wholeness of what’s happening. You begin to see your inherent relationship to these events. You begin to understand that something bigger is going on. You’re not merely in a dangerous world that can wipe you out, which you need to oppose with your strength and mind. Rather you start to see that you are a part of these events. You start to understand that you have agreed to these events at the soul level. This is a huge shift out of 3D consciousness into higher consciousness. Now you are not merely a separate individual struggling to survive and thrive, who can become the victim of circumstances for no apparent reason. Rather you start to understand yourself as a creator. You have created these events, in some way. That creation may have happened in this lifetime. It may have happened before this incarnation, as you prepared to incarnate in the pre-birth state. Or it may have happened in a previous incarnation, which is what many of you call “karma.” Karma can be from this lifetime or a previous lifetime. Karma is not a punishment or a reward. It is part of the process of learning and growth that your soul wants and is calling in. Similarly, the external events of life are not random occurrences with “good” or “bad” consequences. They are opportunities that your soul has created and called in to support you in the growth your soul desires. This is a huge step of responsibility. In the higher dimensions, you naturally assume responsibility for the events of life because you are aware that your soul has taken a part in creating them. Sometimes the events have been created by other souls as well. But your soul has certainly had a part in that creation or the event wouldn’t be occurring in your life. This is a great step of trust for most human beings. You are moving into trusting the events of your life as being for your benefit, even when they create hardship or suffering. Ultimately this is a great step forward in trusting God. As you learn to trust the events of life as serving you, you will increasingly see the greater pattern of the wholeness of life. And this greater pattern, or deeper picture, will lead you to God, inevitably. That is where you are all headed. Toward God. This is your ultimate purpose in being here—to know God and to unite with God. And this brings in the second aspect of spirituality that I mentioned earlier, which is love. To know God is consciousness. To unite with God is love. And the two go hand-in-hand. As you know God, so will you unite with God. As you become conscious, so will you love. My prediction for your future is that you will grow in this consciousness. This is the deeper prediction that transcends events. You will start to care less about the events and care more about the reason for the events, the opportunity they’re offering you to grow in your consciousness and become aware of the bigger pattern. This will lead you to God. And as you unite with God, you will know love. This consciousness will also change your life. Ultimately it will change your world. That is the law of attraction. The more you remain in this new consciousness, the less you will require external circumstances to reign in your former consciousness, which was dominated by the illusion of fulfillment in the merely physical world. Now your fulfillment will increasingly come from your deeper awareness of the source behind events. This will lead to the events calming down and becoming more benign, as they are no longer the focus of your energy or creation. So your reality will become more peaceful, simpler, more stable, more balanced. This will free up your consciousness even more to follow the thread of knowing the greater pattern, and through that knowing God. And as you know God, you will naturally be moved to love. It is your choice as humans how quickly this will happen. At present it is underway, but not likely to happen in the immediate future as a complete and accomplished state. It is much more likely it will be a change over years and decades. But it is certainly underway. And for any particular individual it can happen much more quickly, if you are dedicated and motivated to do the work. What does this require? It requires free attention, free from the constraints of being bound to mere survival and physical wellbeing. This generally requires a base of discipline of your basic life functions. Discipline gives you that freedom. Without discipline, your energy and awareness tend to be consumed by your “problems.” This is why spirituality has traditionally involved discipline. But discipline is not the point. Discipline in and of itself doesn’t make you spiritual. It simply can support you in freeing your energy and awareness to be available for the spiritual process of knowing God and uniting with God. It can potentially speed up this shift into higher consciousness. As to predictions, I wish to support you in letting go of focusing on events that are to happen. because that is not the consciousness that will be most helpful. Instead focus on going beyond events into the bigger pattern of what’s behind the events. This leads to connection with God. It also leads to your world shifting, to 3D giving way to 4D and the dimensions beyond. This is what I predict will be happening for all of you. In 4D, your consciousness changes from seeing the world as a fixed place that’s physically based to seeing the world as an energy realm that is fluid and which you are always affecting. Rather than seeing yourself as the victim of events or circumstances, you now see yourself as a part of all events and circumstances. More and more you will see yourself as the creator of events and circumstances. You become empowered to deeply make use of your freedom of choice. You start to use your power to choose and create much more powerfully. So the focus in 4D is upon manifestation and creation. Right now the majority of humanity is in the process of releasing the exclusive focus on the physical, which is the consciousness of 3D, and moving into the focus of this greater energetic pattern that underlies the physical. You are in the process of shifting into 4D consciousness and reality. This will continue and grow, for individuals and for humanity as a whole. You are not prevented from doing this by authorities, political leaders, social structures, or any other feature of your world. Your consciousness is your own creation and you are at choice to change your consciousness however and whenever you choose. It is easier to make this shift in consciousness when you are in the company of others who share your intention. It is especially supportive to be in the company of others who are further along in doing this than you are. These are your teachers and guides. To put yourself in their company is a beneficial action. This includes receiving that company through writings or audio and video media. But it is most supportive to share that company in life. Creating associations with others who share your intentions to grow in this way is very valuable, as is finding teachers who can guide and support you in your growth. My hope is that many people will be moved to engage this shift as deeply and thoroughly as possible. I encourage you to connect with others who are similarly engaging their growth. This will not only support your own growth. It will maximize the effect you have in your world. Group consciousness is a powerful form that can support the totality of change in your reality. It is a contribution to others at the energetic level, whether they are aware of it or not, and whether they are currently choosing the same path or not. That is an act of love. And it can change humanity’s trajectory. With that kind of intention and engagement, this shift will be accelerated. It is already happening at an extraordinarily fast rate, in terms of human evolution. This may be difficult to see from your perspective, but from our vantage point there is tremendous change underway, which you might say is happening at the speed of light. Truly it’s happening at the speed of consciousness. But it is incredibly fast in terms of how quickly it’s possible to change. We are most pleased about this. We also have complete confidence that this shift into the fourth dimension and beyond will happen. Again, it is not for us to say when it will happen, because you are creating it. But it is underway and we already see the endpoint. It will happen and we are here welcoming you to your new reality as you make this transition. We receive you with our form of open arms and greatest heart love. We are ready to receive you. And we’re wholeheartedly looking forward to that “homecoming” for you, into your new home and reality of the fourth dimension. Mercedes Kirkel is a multi-award-winning author and channel for Mary Magdalene and Yeshua, and other Beings of Light. 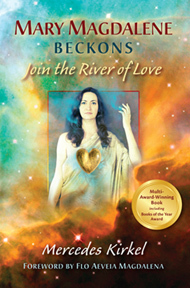 Her first book, Mary Magdalene Beckons: Join the River of Love is available at www.marymagdalenebeckons.com. Mercedes’s second book, Sublime Union: A Woman’s Sexual Odyssey Guided by Mary Magdalene, is available at www.sublime-union.com. To receive ongoing messages from Mary Magdalene and Yeshua, and other Beings of Light through Mercedes, go to www.mercedeskirkel.com and request to be added to the mailing list. Thank you so much Mary Magdalene & Mercedes for transcribing & posting this. The message SO speaks to me in this time of transition & reinforces encouragement. 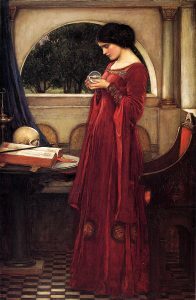 I am honoured to also feel the connection with Mary Magdalene within my now journey of creating & offering into the New world. Thank you, this message is the answer to my desperate seeking for a way out of my heroine role, my tendency to save the world on my own. To see the larger picture and hold my intention high, foremost to myself, acknowledging my work and progress, is a discipline of love that I’ve often neglected in the past. Letting go of old patterns and create new ways of seeing, it reminds me of what I wrote a few years ago “To me, there’s nothing so liberating as to let go of resistance, surrender to who I am in softness, in freedom of expression and to see the world with changed eyes”.